While there are many da’wah related pamphlets in circulation, it is very difficult to find any Islamic apologetics pamphlets. We’ve taken the initiative to design several pamphlets which directly respond to missionary pamphlets, tracts and popular arguments. 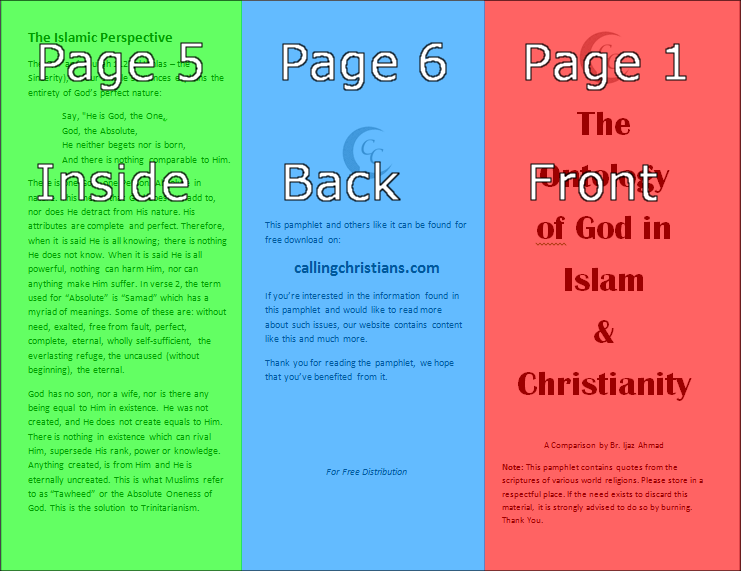 All of our pamphlets are offered for free download and distribution. Additionally, each pamphlet has two versions; black and white, and colour. The reason for this is that groups who wish to print these pamphlets will have to adjust their budgets given their financial limits. 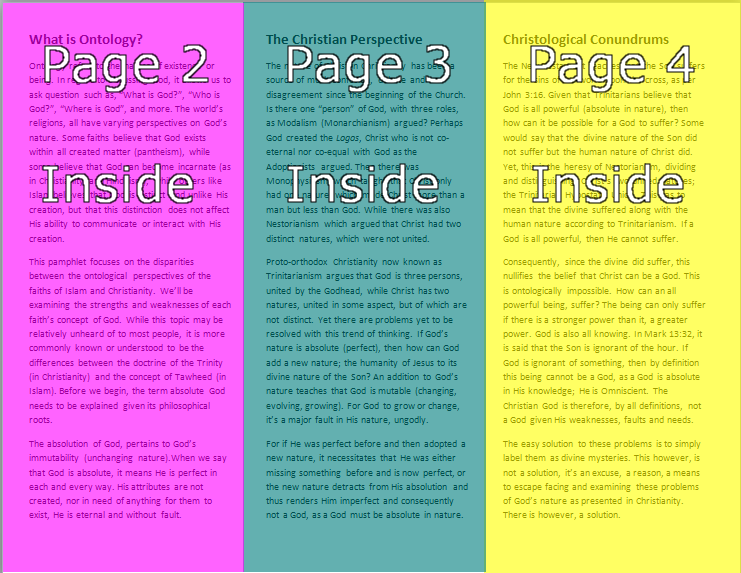 Colour pamphlets are usually much more costly to print than black and white versions. Merely converting the coloured pamphlets to gray-scale would impact image quality and as such, this is why two versions are being offered. We’ve opted to keep our designs minimalistic, while being written in simple English; no complicated arguments or language. Offered in Colour or Black and White. Offered in English, but will be translated into Arabic, French and Spanish. The use of God in place of Allah. The Ontology of God in Islam and Christianity: A Comparison.